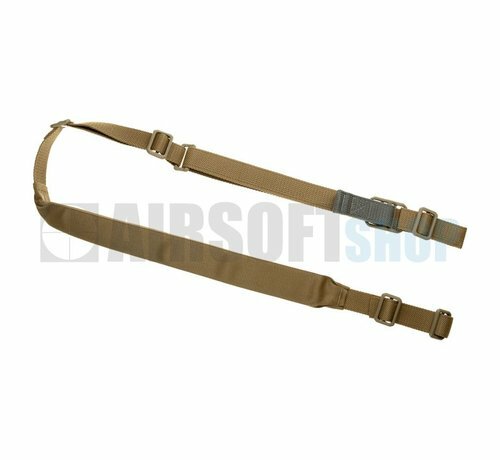 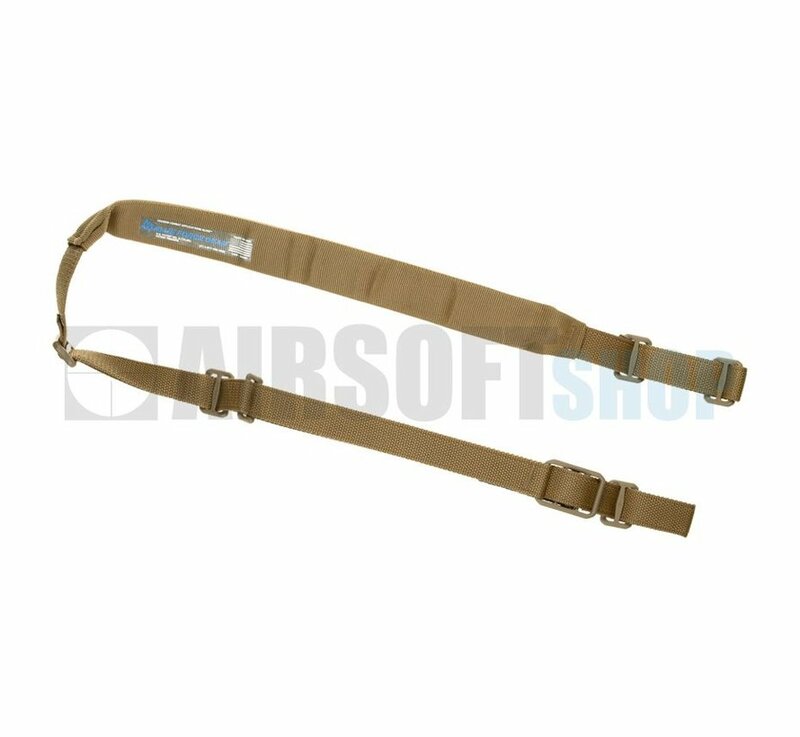 Blue Force Gear Vickers Combat Application Sling Padded (Coyote). 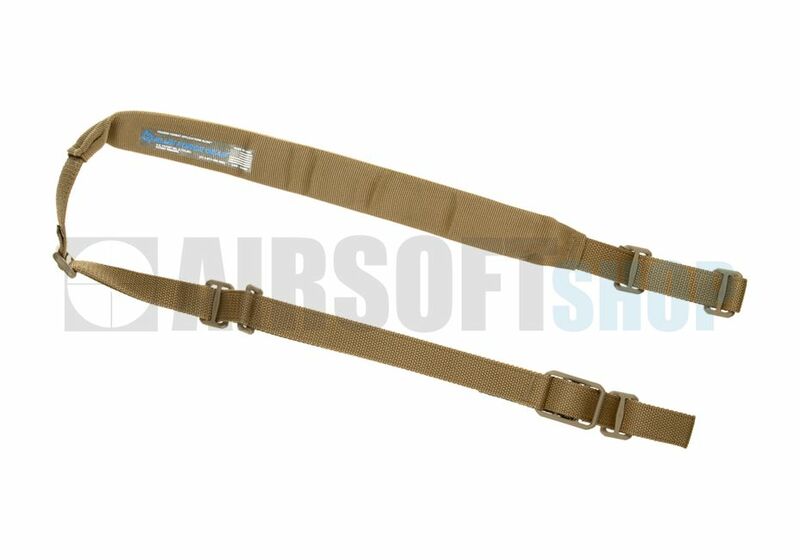 The Patent Pending Padded Vickers Sling combines with the tactical sling capability of the Vickers Sling with the added comfort of a padded rear section. 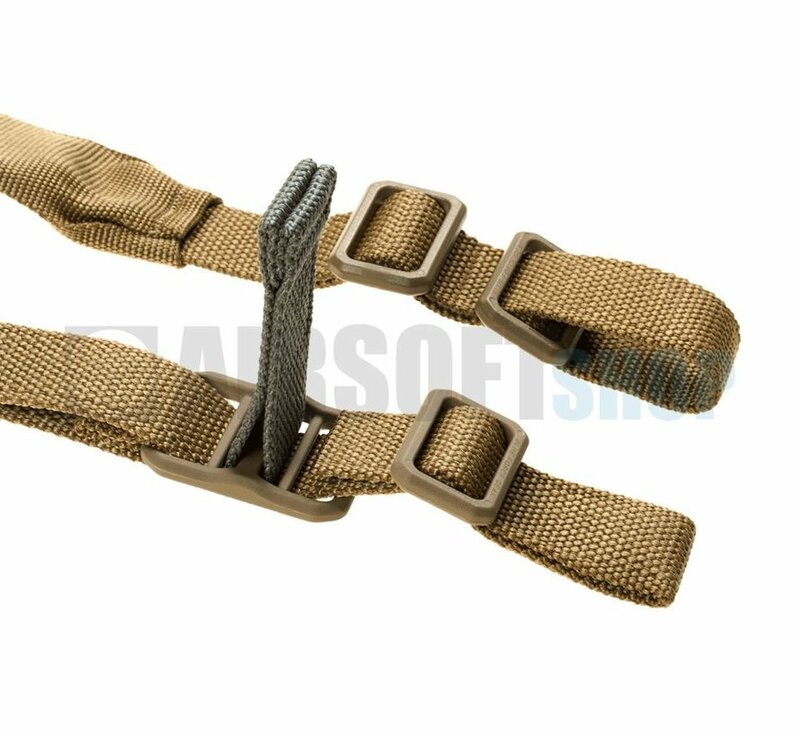 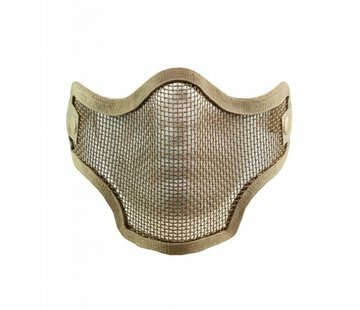 The 2” inline pad doesn’t move up or down the sling and is made from closed cell foam that won’t separate or gain water weight. 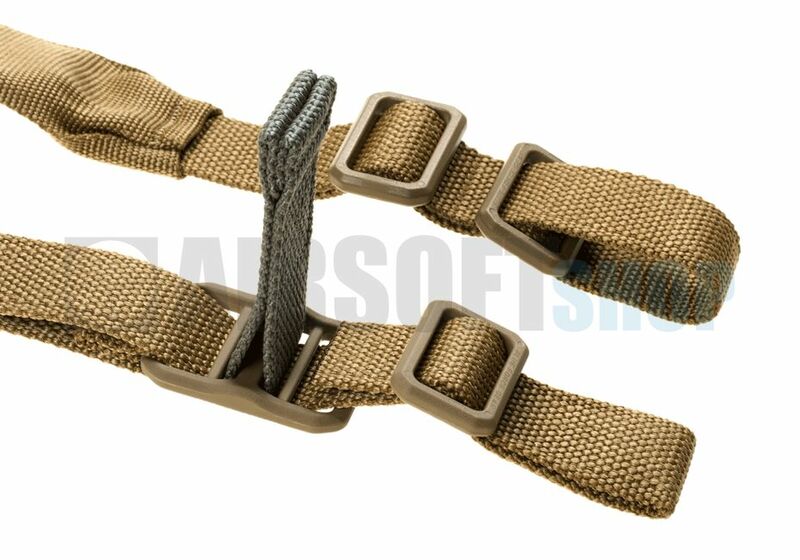 The front section with the Quick Adjuster allows the user to instantly lengthen and shorten the sling - quickly transitioning from a “hands-free” carry to a shooting position with a simple pull of the Adjuster. 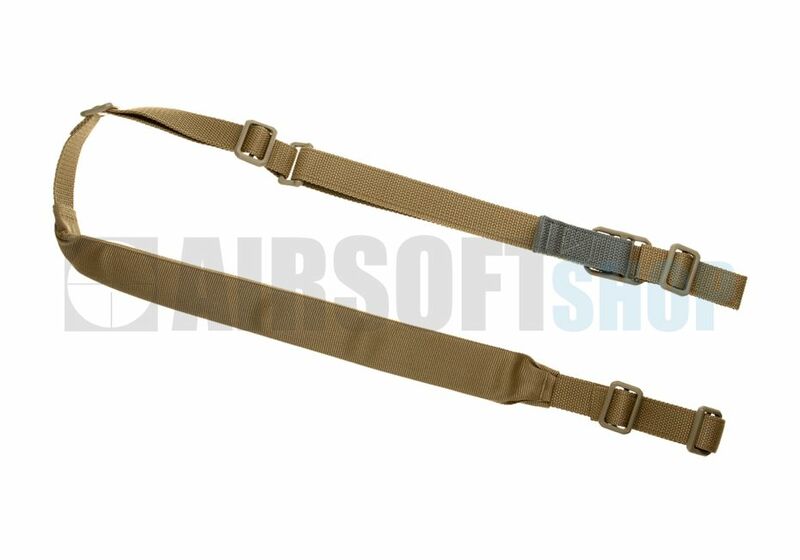 The Padded Vickers Sling fits on a standard M4 carbine but can almost any weapon when combined with additional sling hardware.